The Prime Minister of Papua New Guinea, Peter O'Neill, raised the issue of human rights in West Papua and Papua during talks with Indonesia's foreign minister. He urged the Indonesian government to support the application of the Papuan provinces to join the Melanesian Spearhead Group, while stating that his views were to do with human rights and "not sovereignty''. The Papua New Guinea Prime Minister says he raised the issue of human rights in West Papua and Papua in talks with Indonesia's foreign minister. 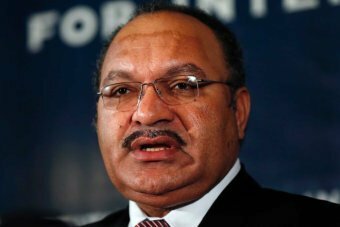 PNG Loop reports Peter O'Neill urged the Indonesian government to support the application by the Papuan provinces to join the Melanesian Spearhead Group. He insisted that his views on Papua were to do with human rights and "not sovereignty''. The PM's words follows the Foreign Minister, Rimbink Pato, saying neither he nor his Indonesian counterpart would talk about West Papua issues at their press conference in Port Moresby. Mr O'Neill says the MSG is the ideal forum to foster better relationships between Melanesians. He also says there are discussions between the governments regarding border issues, visa arrangements for officials, and mutual arrangements for student exchanges between the countries.